The Museum of Minerals & Fossils of the Cultural Society of Thira was founded in 2006 and is located in Perissa, close to the Church of the Holy Cross. Display cases include minerals and fossils from Thira, the rest of Greece and abroad. Amongst the exhibits is an invaluable rich collection of minerals from Lavrio. Mr. Nikos Sigalas is President of the Cultural Society of Thira and responsible for the museum. Fossils provide us with a means of learning even about the evolution of man, containing information that has been lost in the depths of millennia, but is sure to be of great interest to mankind. This is the role played by the fossils that can be admired close-up at the Museum of Minerals & Fossils of the Cultural Society of Thira. However, what happens when a museum houses original treasures dating back 50,000-60,000 years from now that are not only worth a great deal in terms of culture, but are also connected to the evolution of life on this planet? 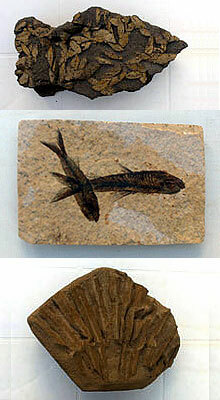 The Museum of Minerals & Fossils of Thira is a museum of this kind and is a center of great attraction for tourists. Of the fossils that cover all groups of organisms, the ones of particular interest are plant fossils from olive, gorse and palm trees that come from the caldera of Santorini and date back 50,000-60,000 years from today. It is a very rare old flora which is unique in the whole of the Mediterranean and provides an essential record of the evolution of plants of the past, not only in the Aegean but also across Europe. It is particularly worth noting that the museum's oldest exhibit dates back 1.5 billion years from now and the most recent dates back 50,000 years.